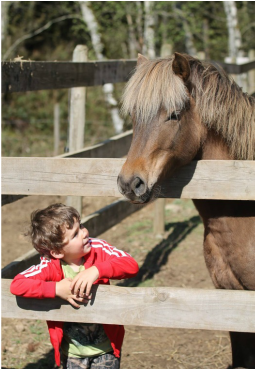 At Sprout Meadows we believe that basics of horsemanship helps form the proper foundation needed for riders to succeeded in the horse world, and ensure many happy years with our equine friends. 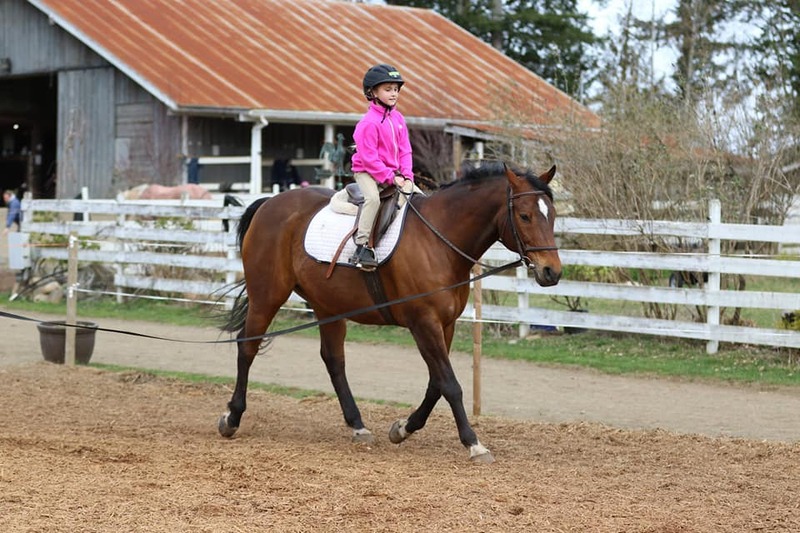 Sprout Meadows is happy to offer several riding programs on one of our safe and friendly lesson horses or your own mount. We focus on the dressage/hunter/jumper and equitation discipline, with multiple coaches to choose from to suit your riding requirements. We welcome riders from ages 4 years and up, at all skill levels. Whether for fun or competition everyone is welcome to come ride and enjoy the fun, relaxed environment. Focusing on the riders safety and the horses well being; helping to create a great partnership with your equine friend. All coaches are insured and first aid certified. 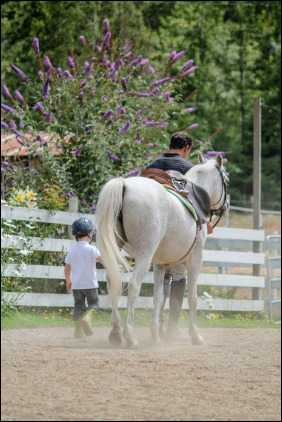 All beginner lessons with Sprout Meadows includes how to catch a horse, groom, tack up and un-tack a horse, and a riding lesson. Please note after 4 sessions riders will be responsible to tack/un-tack on their own with minimal supervision, help can be provided as needed if notified in advance, additional fee(s) may apply. Cancellation of lessons with 48 hrs or less notice are subject to a $15 cancellation fee, lessons with 24hrs or less will be subject to full cost of lesson scheduled, please complete online form. Students are expected to arrive 30 minutes prior to lesson to catch their horse, groom and tack up. 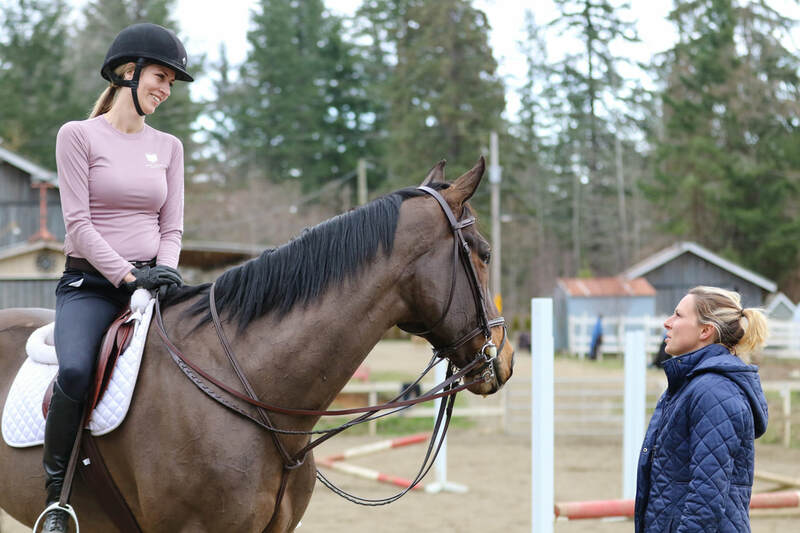 Students should be in the ring, mounted and ready to ride, at the scheduled start of their lesson (private lessons should mount 15 min early to warm up once approved by their instructor). After the lesson, students are expected to properly cool out and groom their horse before putting them away. Students are also expected to clean their tack and properly put it away before leaving. Overall, it will take approximately 1-2 hours for a group riding lesson. 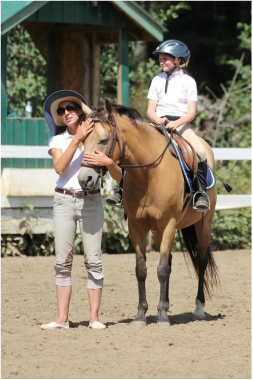 An assessment lesson will be required for each new rider to ensure proper placement in groups based on current skill levels, these lessons are done in a private lesson setting for one time assessment. 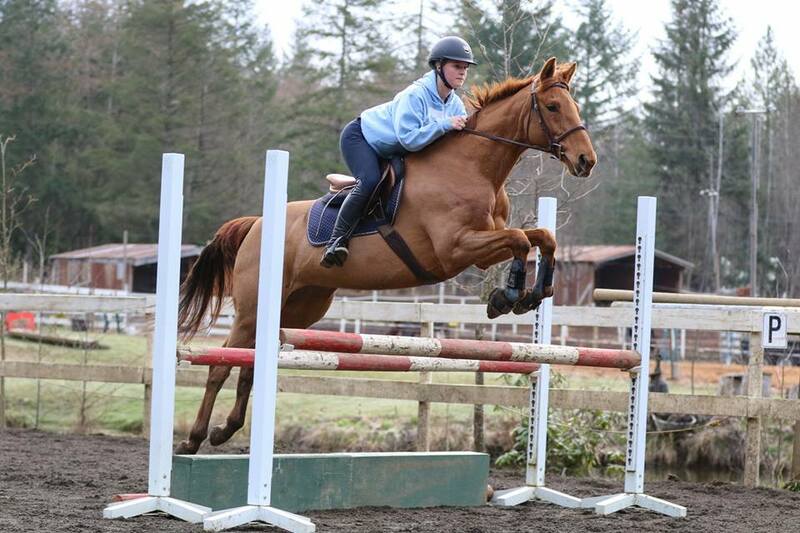 Once students are deemed ready to join a group, lessons will consist of dressage and jumping. However, in the interest of the well being of the horses, lesson content will always be subject to the discretion of the instructor/riding school and in some instances a jumping lesson may need to be replaced by a dressage lesson. We do recommend riders wear paddock boots with half chaps or tall boots to prevents rubs. Rubber riding boots are not ideal as they do not bend well in the ankle, however they still work. Long hair must be tied back neatly or tucked into helmet with hairnet. ​The rim of the helmet should be one to two finger widths above the eye. The straps of the ears should form a V just beneath the ear lobe. When a rider opens his mouth, the buckle should feel snug on the chin and the helmet should hug the head. If it is a new helmet it should be slightly tight as the padding does loosen after some time. ​*Please note that this class is just a mini lesson and does not include catching, grooming or tack up of the ponies. Have you or someone you know always wanted to learn to ride or just need a refresher? Only $150 plus gst for a 4 lesson pack! 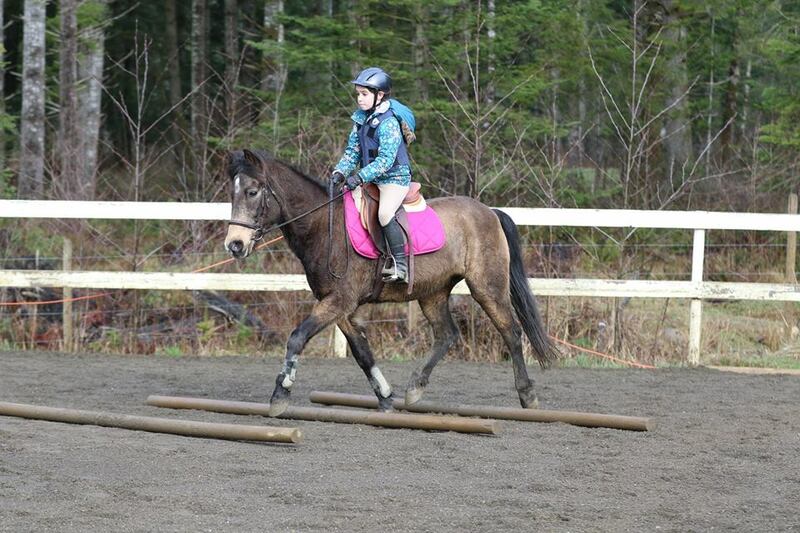 Learn to catch, groom, tack up, a walk/trot lesson then untack, groom and put the horse away. Class will run for 1 hour total length.